« March 17th – What else do we remember? 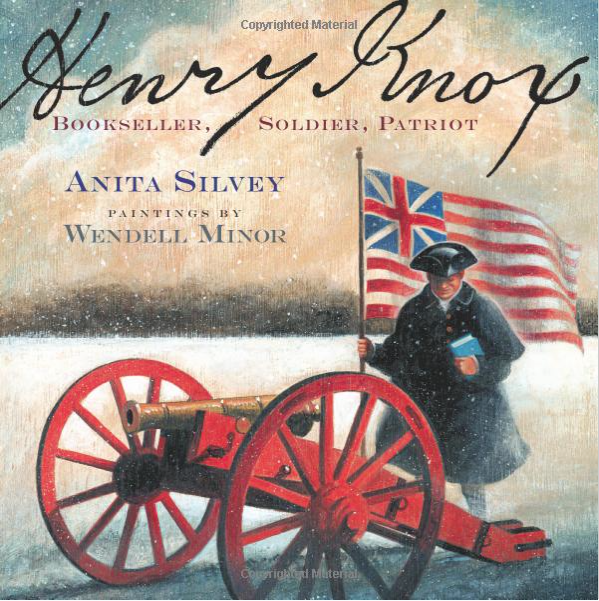 Evacuation Day—March 17, 1776—might not have happened if it weren’t for the efforts of young Henry Knox and his courageous men: a biography for grade school by Anita Silvey, illustrated by Wendell Minor. Children’s literature expert and author, Anita Silvey, brings us a little-known story of a former Boston bookseller, now soldier, who brought an idea to General Washington which might end the siege of Boston during the American Revolutionary War. Interested in war strategy and engineering, Knox devised what seemed an impossible plan to transport the 60 tons of cannons and munitions abandoned by the British at Ft. Ticonderoga the 300 miles over snow-covered mountains and lakes to Boston. The cannons would be dragged up to Dorchester Heights where they could attack the British down below. 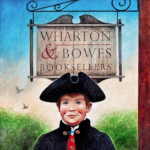 How this bold 25-year old patriot accomplished this feat in less than two months during the harsh winter of 1775-76 with boats, ice sleds, and teams of oxen is one of the most inspiring adventures of colonial US history. Readers who are interested in learning more will appreciate Silvey’s including source notes, bibliography, timelines, and recommended reading. Award-winning illustrator, Wendell Minor, was the perfect collaborator to work with Silvey. His scenes of the personalities and landscapes painted on wood panels add to the sense of the period. If you’re traveling anywhere near western Massachusetts in the next two months, I recommend taking your family and seeing a special exhibit, “Wendell Minor’s America,” highlighting Minor’s 40-year career at the Norman Rockwell Museum in West Stockbridge, MA through May 26, 2014. This entry was posted in News and Announcements, Pam's Perspectives and tagged Artists, Children's Books, History, New England. Bookmark the permalink. Both comments and trackbacks are currently closed.